Watch Photography is hot and we love it! With photo essays from Ming Thein and the incredible shots by Bert Buijsrogge we are lucky to have our share here on Fratellowatches. In the past, we also featured an article on Mike Mellia. Another superb watch photographer that has turned watch photography into an art. Now, Mike Mellia has been featured in iW Magazine (International Watch Magazine) with his watch photography. The photos he took were meant for an article that covers all the watch boutiques on Madison Avenue in NYC. Now, we’ve been to some of these boutiques ourselves, but the pictures he made really wants us to go again. 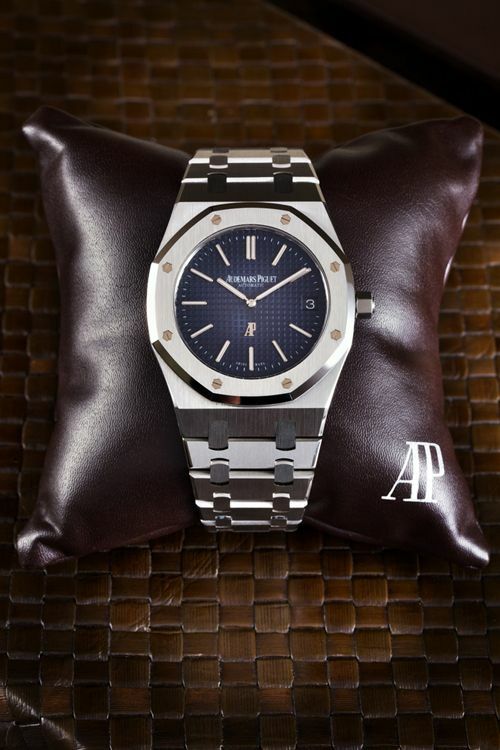 One of the photos he took (and used in iW Magazine) is pictured above, of the new Audemars Piguet Royal Oak ‘Jumbo’ 15202 (more on this watch here and here). The watch that we love so dearly. This photo really shows the beautiful satin finished bracelet and case, white gold screws and hour markers and last but not least, the electric blue-ish dial. All photos that Mike Mellia took can be admired on his website (click here). Information about iW Magazine can be found here.